COLOGNE, Germany--(BUSINESS WIRE)--Activision, a wholly owned subsidiary of Activision Blizzard, Inc. (NASDAQ: ATVI) officially announces the launch date for the highly-anticipated new game from FromSoftware. Sekiro™: Shadows Die Twice, a third-person, action-adventure game with RPG elements, is planned to release globally on March 22, 2019. To celebrate, fans attending Gamescom 2018 in Cologne, Germany will be among the first in the world to play the game. 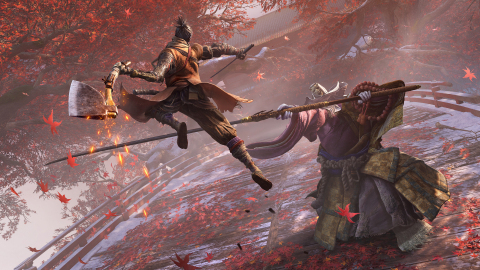 Additionally, the Sekiro: Shadows Die Twice Collector’s Edition, which is packed with collectible items, will be available for pre-order starting today in select markets. Digital pre-orders for the game will also kick off starting today in select markets. 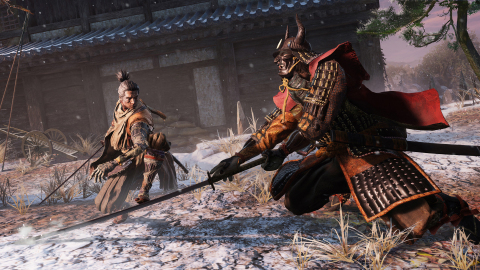 Cautionary Note Regarding Forward-looking Statements: Information in this press release that involves Activision Publishing's expectations, plans, intentions or strategies regarding the future, including statements with respect to the expected events at Gamescom 2019 and the release dates, features, functionality, and gameplay of Sekiro: Shadows Die Twice, including the Collector’s Edition, are forward-looking statements that are not facts and involve a number of risks and uncertainties. Factors that could cause Activision Publishing's actual future results to differ materially from those expressed in the forward-looking statements set forth in this release include unanticipated product delays and other factors identified in the risk factors sections of Activision Blizzard's most recent annual report on Form 10-K and any subsequent quarterly reports on Form 10-Q. The forward-looking statements in this release are based upon information available to Activision Publishing and Activision Blizzard as of the date of this release, and neither Activision Publishing nor Activision Blizzard assumes any obligation to update any such forward-looking statements. Forward-looking statements believed to be true when made may ultimately prove to be incorrect. These statements are not guarantees of the future performance of Activision Publishing or Activision Blizzard and are subject to risks, uncertainties and other factors, some of which are beyond its control and may cause actual results to differ materially from current expectations. © 2018 FromSoftware, Inc. Published and distributed by Activision. ACTIVISION is a trademark of Activision Publishing, Inc. All other trademarks and trade names are the property of their respective owners. Sekiro: Shadows Die Twice Launches March 22, 2019!